Golf Alignment i.e. the way you align your body has a massive impact on the quality of golf shots you can hit. 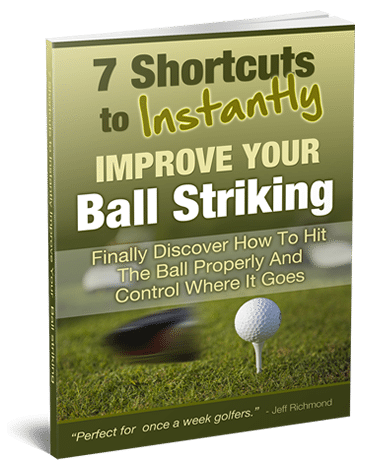 But this is one of the easiest parts of the golf swing to get wrong without you knowing that you’re doing it. Over time it’s very easy to slip into bad golf alignment habits. So in this article I’m going to tell you what you should to do check your alignment. To do this golf alignment check exercise you need another person with you. So picture railway tracks running from your ball (your ball is on the right hand track) and your feet should be on the left hand track. This means that all of your body should be aligned to the left of where you want your ball to go. You probably know that, but you may need to explain that to the person that is checking your alignment. Setup to a golf shot as you normally would and get the person with you to check your feet, knees, hips, shoulders and arm alignment with a golf club (where the golf club points parallel left to the target). Make the necessary adjustments and then swing the golf club. 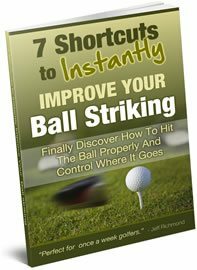 If it felt strange that’s good, because it means that your alignment had been incorrect, and by aligning correctly you’ll have more chance of hitting great golf shots more consistently. So keep doing this alignment checking process as you’re hitting balls. Then once a month or so you should recheck your alignment again. Keep doing this and long term your ball striking will improve because of your improved golf alignment. One last important point: get the person to check where your clubface is pointing as well. Make sure it is pointing straight where you want to start your golf ball. If you do these things your golf alignment will be much better and golf will be easier for you.